A customer's pet portrait on a mug. We make porcelain dishes with cats and dogs on them. We also do custom orders of dishes with people's personal pets on them. 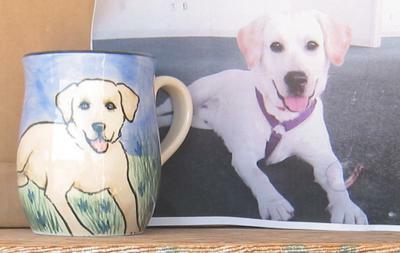 They send us a picture of their pet and we create the mug using their pet's picture. Please feel free to check out our Facebook page (it's new).